When selling a property, picking the right price is a make-or-break task that can mean the difference between closing a sale fast and hanging onto an expired listing. To choose the right price, you’ll need to look at true real estate comps. Real estate comps are short for comparables which are other similar properties investors will use as comparison when determining the sale price for their own property. The first step in picking the right price when selling is looking at your comps. You can use Zillow or a realtor to build a list of comps. Once that’s done, it’s crucial to sort the real ones from the red herrings before you settle on a price. To do that, use the following criteria. Only look at comps less than three months old. Comps more than three months old aren’t actually comps, since the market may have changed considerably in that time. Anything older than three months will be a lot less help in picking the right price for a home. Look at comps within a half mile radius. Unless your house is in a rural area, true comps won’t be any further than a half mile distant. Don’t ignore dividing lines between neighborhoods. Streets, streams, railroad tracks and other physical borders often draw the boundaries between one neighborhood and the next. Respect these lines when picking comps to help set your property’s price. Make your comps as similar as possible. Two houses in the same neighborhood will sell for vastly different prices if they have different numbers of rooms and bathrooms and one has a two-car garage, swimming pool, and a big glassed-in addition. Pay special attention to the differences between comps and make adjustments to your estimate for each. Know the difference between list price and sale price. Base your property’s selling price estimate on the sale price of your chosen comps, not the list price. Sellers can ask any price they like, but it’s the final deal that matters. Another crucial factor is how long a property stayed on the market. A comparable house that sold for 5% more but took 3 years to do it should give you a clue that your price should be lower. Once you’ve done a full search of all the relevant comp properties, you’ll have a better idea how to pick your selling price. Rather than settling on a number, pick a range of +/- 5% or 10%. Buyers look for a price range, too. If you set your price at $355,000, you run the risk of missing out on buyers looking at the $300,000 to $350,000 range. Once you have your range in mind, work with a realtor to see if stepping down 3% in price might open up access to a bigger pool of buyers. Sellers looking to unload a house or rental property fast can up their chances for a quick sale by pricing a bit lower. A lower price can help create a crowd of potential buyers. Once those buyers see they’re not the only game in town, they’re more likely to jump into a contract quickly. 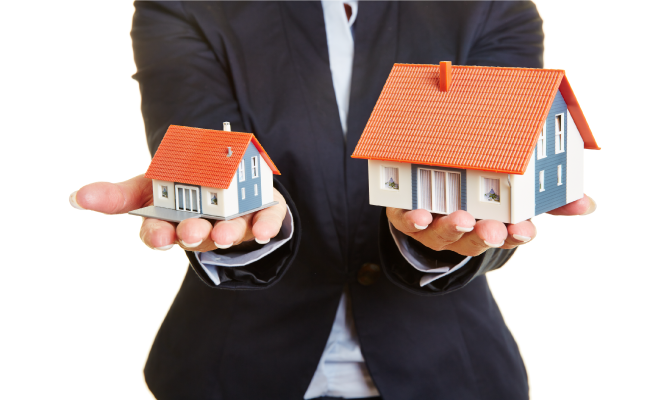 Are you selling in a seller’s market or a buyer’s market? It’s key to understand the difference. In a buyer’s market, we’ll start with our real estate comp-built price estimate, then drift a little lower. In a seller’s market, we can set our sights a big higher. Knowing the kind of market we’re selling in will help us zero in on the perfect selling price. Real estate investors will need the necessary financing when looking to purchase their next property. Consider a LendingOne Fix and Flip loan or a Rental Loan and apply today to learn more.